After trying a number of sunglasses made specifically for baseball we like Marucci’s MV108 performance set the best. Others are quite good too, and there is ultimatley little difference. But, Marucci’s were light, ultra comfortable and didn’t get in the way of anything we did—even bat. The budget conscience buyer will like the Ewin EO1 cycling glasses for less than $20. Marucci’s sunglasses are in stock on their website and we price check there before anywhere else. Of course, we always check Amazon. Under Armour products price out really well there and so does the Ewin E01 polorized baseball set. In terms of real reviews and insight, we often check out pro baseball insider’s write up on things. This is, like us, a real baseball player that has real experience with the gear. Not, like oh so many these days, Amazon link farms with nothing but best selling lists. 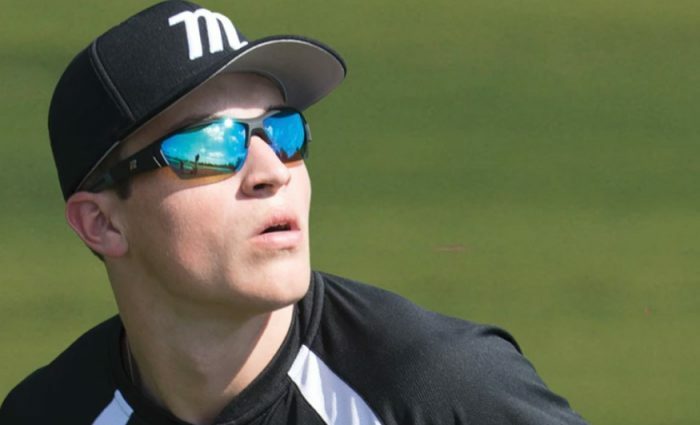 There is more insight to the right type of baseball sunglasses on Pro Baseball Insider then you could ever want to know. Our other major source was our own experience. We don’t play pro ball like the folks at PBI, but we do play a lot of Highschool, Little League and comp/Travel ball. That experience, and direct feedback from several players, gives us our insight into the best sunglasses.